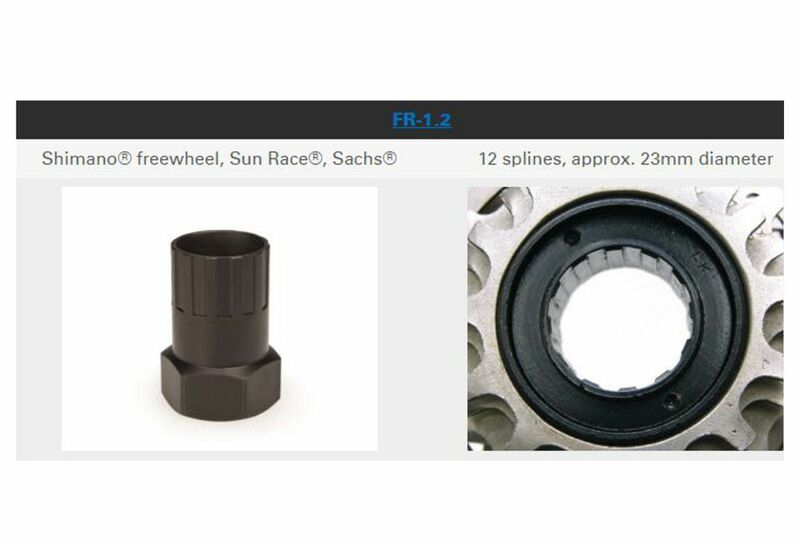 The FR-1.2 is designed to remove 5-, 6-, 7-, 8-, and 9-speed freewheels made by Shimano®, Sun Race®, DNP®, Sachs®, etc. 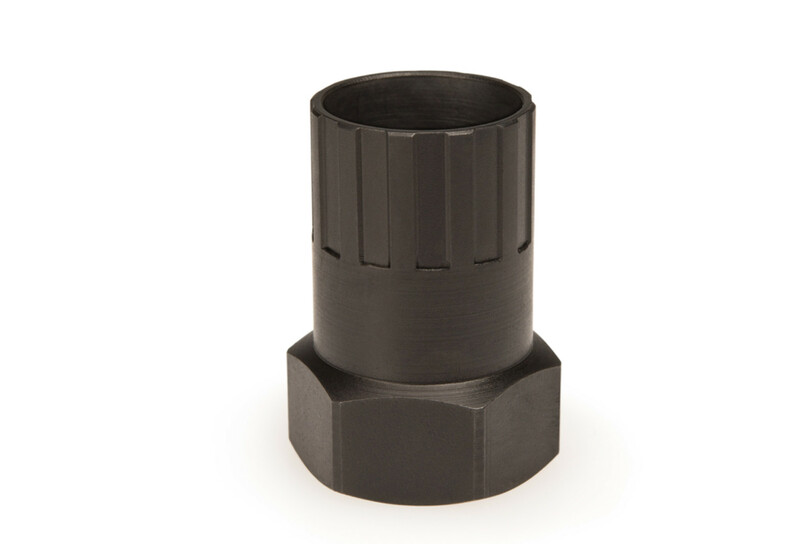 Thin wall construction allows the tool to fit the freewheel’s 12 splines without removal of the hub cones and locknuts. 1" base fits wrench or bench vise. Made from heat-treated alloy steel.